Mountain Model Imports did two versions of the K27 which were described as `Outboard Cylinder’ & `Inboard Cylinder’ which caused a lot of confusion as many potential customers hadn’t a clue what this meant. When new the K27’s were Vulcain compounds but this doesn’t appear to have been very successful and looked like this. Compounding is about using the steam twice, once in high pressure cylinders and again in the low pressure cylinders. Over the years this has been tried in various layouts such as articulated engines with a pair of high pressure cylinders on one truck and low pressure on the other. The Vulcain system places them one above the other with a common crosshead as shown in the picture to the left. The aim of all compounding was economy by using the steam twice. 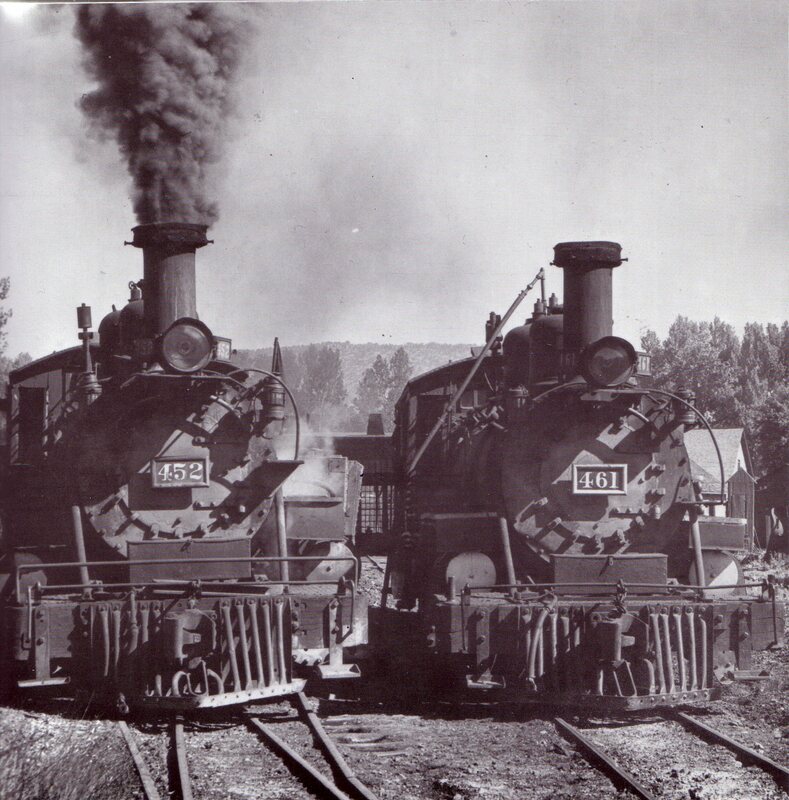 As delivered these engines were saturated steam engines. This means that the steam is taken directly from the boiler to the cylinders. The other disadvantage of them “as built” was the obvious small size of the cylinders. 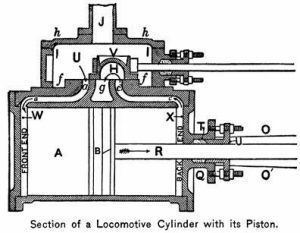 The compounding didn’t last, my guess would be the savings didn’t justify the complication and they were quickly rebuilt as simple engines with slide valve cylinders and inside Stephenson valve gear as shown below. Here you can see the cylinder now has a big flat valve chest on top of the cylinder driven by Stephenson Valve gear located between the frames. At this stage the engines still used saturated steam. This picture shows #450 awaiting rebuilding and the valve rod is missing. The most significant development in loco economy turned out to be superheating. A superheated engine has a number of larger than normal flues in the boiler. Inside these flues sit a number of pipes that run from the smokebox towards the fire before doing a U turn back to the smokebox. 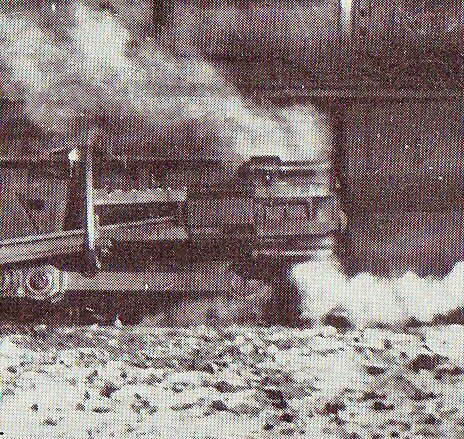 In the Smokebox these pipes were connected to two manifolds know as the wet & dry headers. The wet header was connected to the boiler via the regulator [throttle] and the dry header was connected to the cylinders. 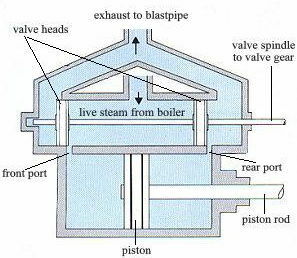 The effect of superheating is to take wet steam from the boiler and pass it through the superheater elements in the path of the hot gasses which further raise the temperature of the steam and turn any moisture into steam to give a greater volume of dry high temperature steam. This needed some changes. Saturated steam is wet and has some element of self lubrication and the oils used can be low temperature oils. The valves on a slide valve engine are basically, and over simplified, a big block of cast iron dragged back and forth across ports to control the admission and exhaust of steam to the cylinders. Slide valves don’t do well with superheated steam because the now super dry steam is corrosive and has no self lubricating properties. In addition the increased temperatures make the life of the lubricating oil much more difficult. Wear rates in superheated engines with slide valves to both the valves and the valve gear are rapid and not sustainable. The solution is to use piston valves. 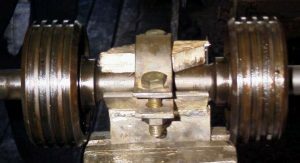 These replace the slide valve with a piston valve which has two heads with piston rings on them as the actual steam seal and wear. The diagram below shows how these are arranged. The picture on the right shows a piston valve head with each head having four slots for piston rings. The rings are split rings of cast iron and are placed in the head so that the joints aren’t in line. The ones in the picture are a bit smaller than those you would get on the K27 but they illustrate the point well. This set actually belongs to Blanche on the Festiniog Railway. The next picture to the left also explains the “inboard” notation and a few other pertinent things. Blanche used to have slide valves but was converted to piston valves in 1972. The valves on Blanche are still driven by the inside Stephenson valve gear and the centre line of the valve chest, the top circle, is inboard of the centre line of the cylinder so it lines up with the valve gear. In this view Blanche is actually sat on a rolling road and is having her wheels driven round by an air motor whilst the valve timing is set and checked. 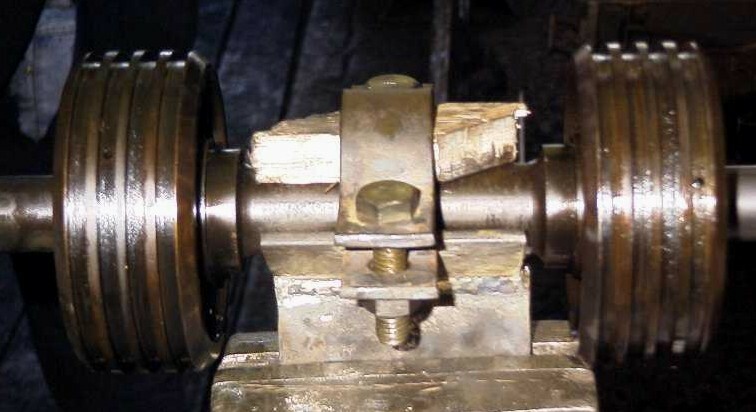 You can see the valve head inside the valve bore which has its covers off so that the position of the valves can be measured when the wheels are at top and bottom dead centre. The other thing this view shows is me on my knees driving the air motor as do the valve setting. I head the team that look after Blanche which is why I can explain this stuff. When it was decided to superheat the K27’s the first way of doing this was to design the new cylinder and valve castings so that the valve chest was inboard of the cylinder centre line so that it lined up with the original Stephenson valve gear. The result was a cylinder and valve casting that looked like #454 shown here on the right. 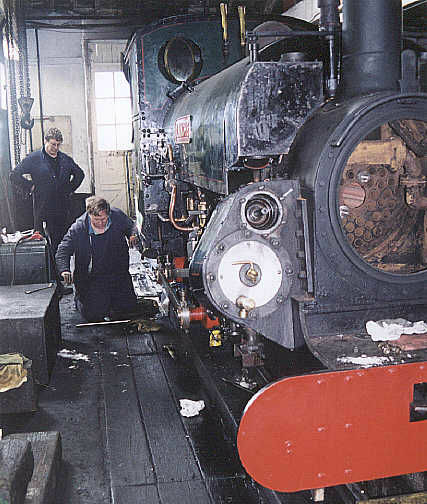 I haven’t been able to find a picture of one of these engines still with its Stephenson valve gear so I figure it wasn’t long before they were converted to Walschaerts outside valve gear. From the point of improved valve events you will find people who will argue until the cows come home over which was best, but the big advantage of Walschaerts valve gear is that it’s on the outside and accessible for maintenance. 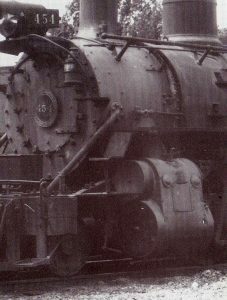 The D&RGW obviously decided that the Walschaerts Valve gear was the way to go and did so before they had got very far with the rebuilding of the K27’s, so after the first few were done with the original gear they redesigned the cylinder castings so that the valve chest centreline was now outside of the cylinder centre line and so lined up directly with the valve gear. This picture of 453 shows very clearly the outboard valve chests and how the whole cylinder casting appears to lean outwards as someone has been a bit keen with the silver paint. There are some things to note with the valve gear layout with this version which might be described as “normal”. 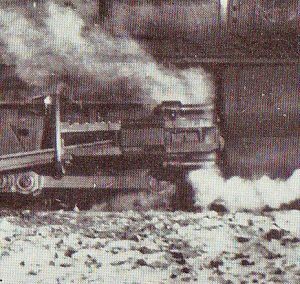 So we have established the new standard for the K27 with the Walschaerts valve gear but we have a fleet with the other design of cylinder casting which is still relatively new but the old valve gear. The new valve gear was obviously an improvement as it was decided to fit the new gear to those that received the earlier castings. Trouble was none of it lined up so some trickery was needed. This ended up being the method used to convert the rest of the fleet to the new valve gear. 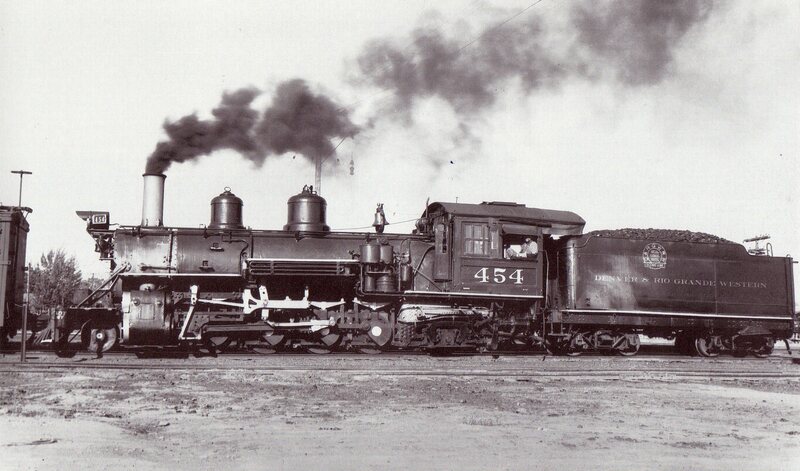 The Rio Grande Southern used to lease these engines as they became spare on the D&RGW displaced by the bigger K classes. The RGS ended up owning a pair, 455 & 461. 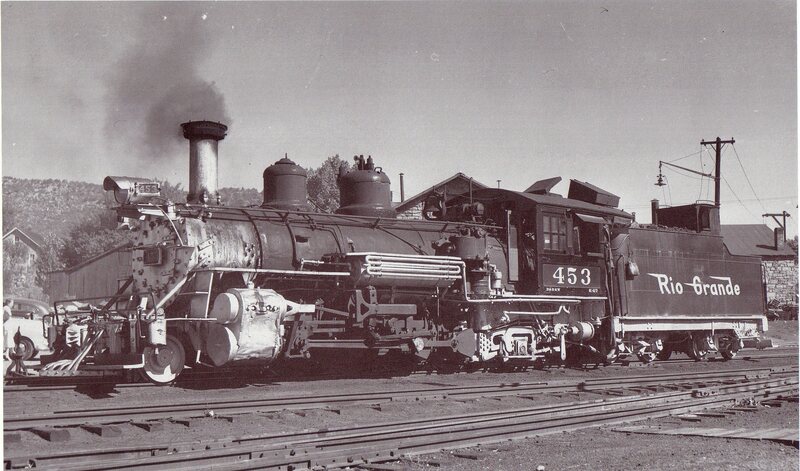 This view shows 461 and leased 452 standing next to each other demonstrating the different cylinder castings. Well that’s the end of this potted history; it’s not a comprehensive one. For the best pictorial record I would recommend “The Mudhens, A pictorial History” by Denis O’Berry.